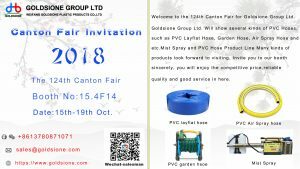 Home›Company News ›Let’s get together for the Canton Fair. Let’s get together for the Canton Fair. 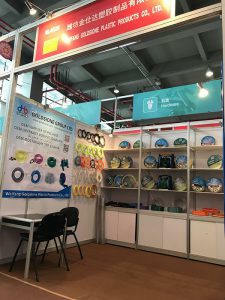 Welcome to the 124th Canton Fair for Goldsione Group Ltd.
Goldsione Group Ltd. Will show several kinds of PVC Hoses, such as PVC Lay flat Hose, Garden Hose, Air Spray Hose and etc. Mist sprayer and PVC Hose Product Line. 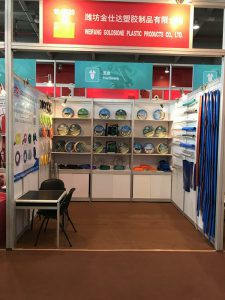 Many kinds of products look forward to visiting, Invite you to our booth sincerely, you will enjoy the competitive price, reliable quality and good service in here.